Karen lives close to Tarbert on the Kintyre peninsula. Trained as an architect, and diversifying into set design and then into wallpaper design and printing, which became her passion. Working with repeating pattern and advanced printing techniques has been her life’s work. Colour was always an underlying obsession; she collects pigments from all over the world and is Inspired by atmosphere, spatial relationships and the ever-changing colours of the landscape, she faces the daily challenge to translate these with paint and hand cut block prints. 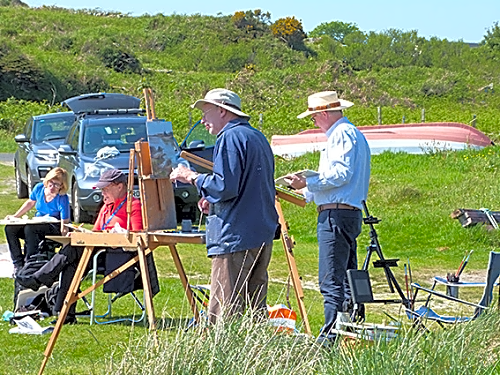 A member of Artmap Argyll and voted a Brother of the Artworkers Guild in London, she is delighted to be invited to join the Glasgow Society of Women Artists. 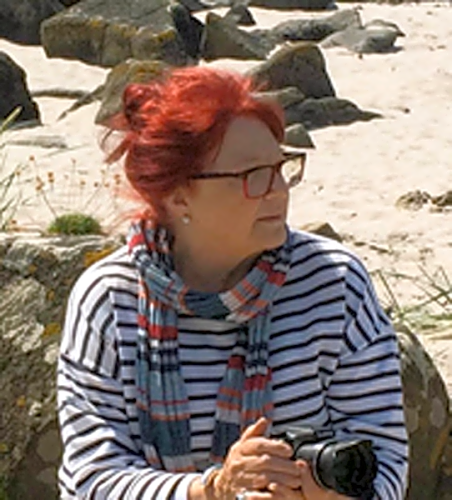 Karen also runs a residential art school at her house on the coast, providing a relaxed and enjoyable place to share and indulge in all types of media including exploring creativity, design, paint and printmaking.